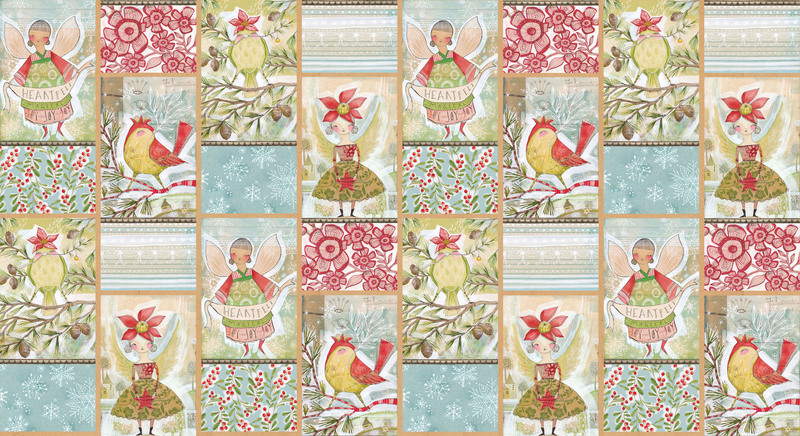 Merry Stitches panel from Blend Fabrics. Beautiful watercolor illustrations display scenes from the holiday season. Sold by the panel (44"x24"). Fabric will be cut in one continuous piece if more than one panel is ordered.